Never get locked out of your house again. Our top electronic locks offer keyless entry and other smart ways to unlock your door. It may seem like a high-tech spy movie when you gain access to your home by scanning your fingerprint, but the future is here! We pushed through all the high-tech razzle-dazzle to find the best smart and electronic door locks for your home. We compared price, security ratings, ease of use, and customer reviews to pick the most secure electronic locks for your front (or back) door. 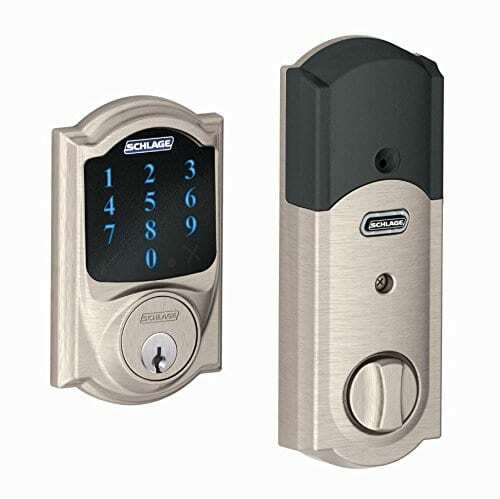 For top-notch protection, you can’t beat the Schlage Connect. This smart lock is one of the most expensive on our list (averaging around $170), but it delivers on both convenience and security. 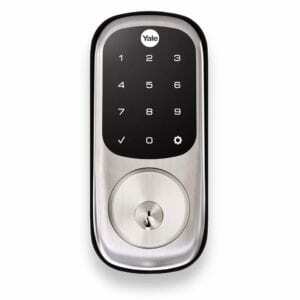 This keyless lock comes with the highest security rating of any door lock we considered. The Schlage Connect boasts ANSI/BHMA Grade 1 certification, which is the highest rating available. 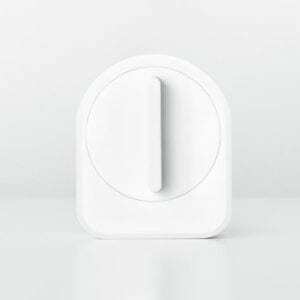 But even though you can connect this lock to a home automation hub with Z-Wave, there’s no app you can use independent of a smart home hub. That means that if you want to control your lock remotely through your phone, you’ll also need to invest in a smart home hub. August is the undisputed leader when it comes to smart locks, and this third-generation offering doesn’t disappoint. Enjoy remote control, low battery alerts, and a secure Bluetooth connection that doesn’t eat up your Wi-Fi data. And when it comes to looks, this lock stands out. Because it installs on the inside of your door, you’ll appreciate the unobtrusive modern design that complements most home décor. 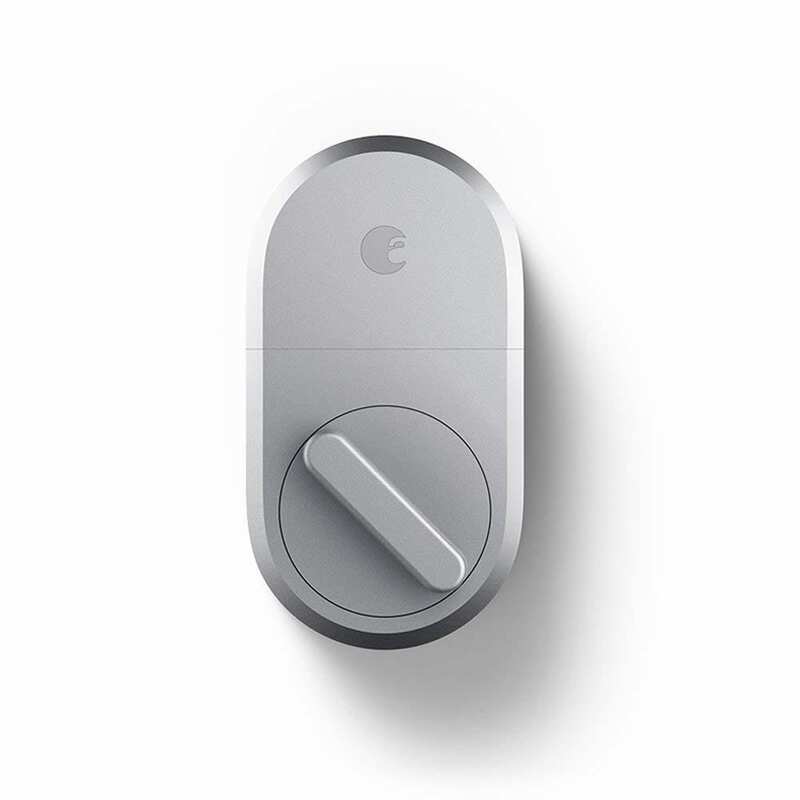 The August Smart Lock works with existing deadbolts, which is convenient. However, it isn’t compatible with all deadbolt models, so make sure yours is compatible before making the investment. 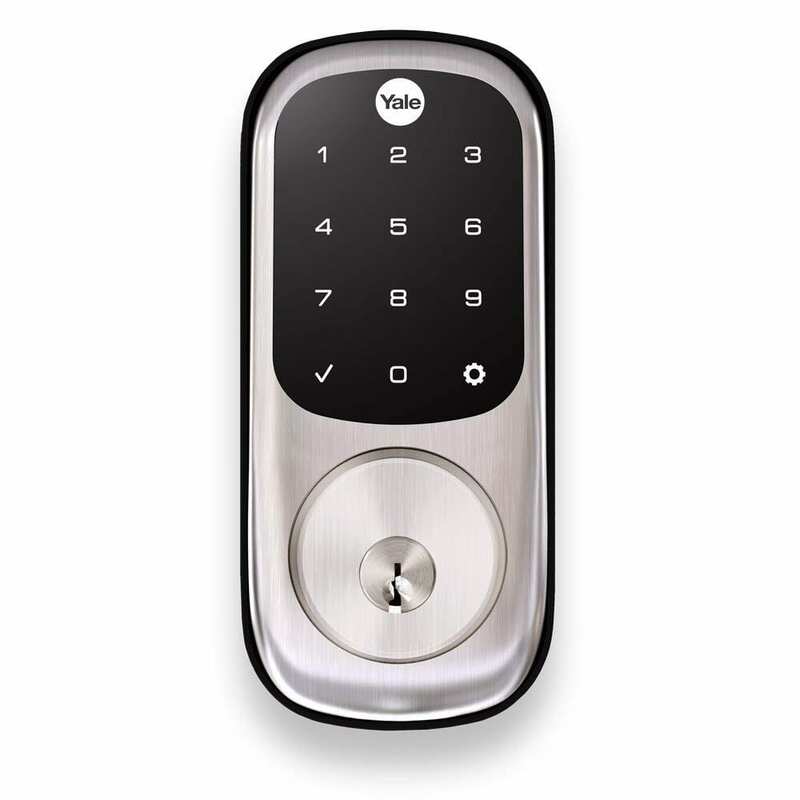 The Yale Assure Lock uses Z-Wave technology to work with more than fifty home automation brands and features an easy-to-use touchscreen that is backlit. You can program and save up to 250 entry codes—more codes than any other lock on our list. 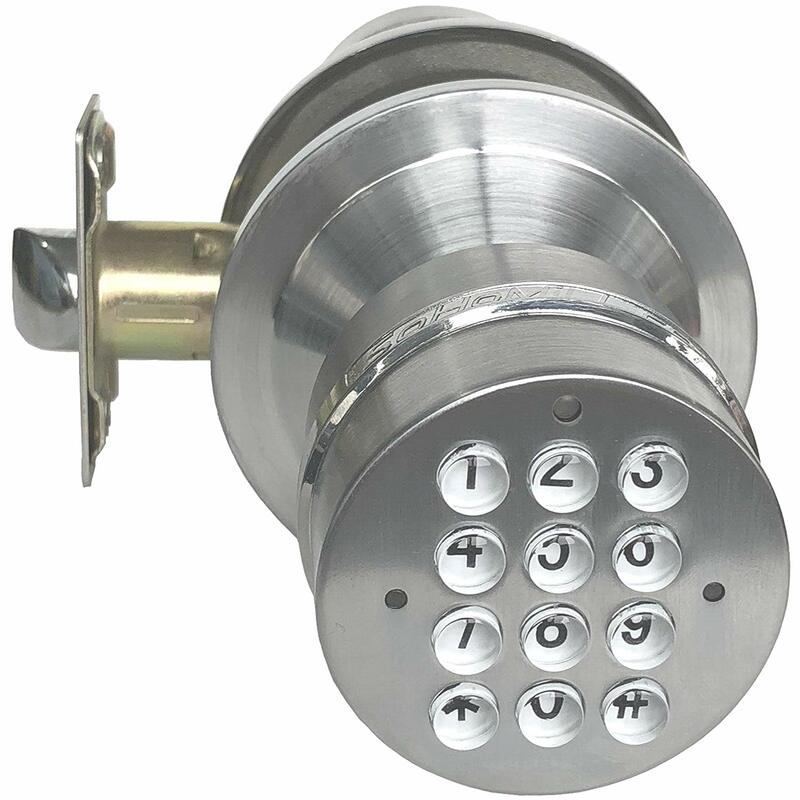 This keypad door lock also comes with a privacy setting that lets you disable some or all codes for a specified amount of time. This feature could come in handy for a few reasons, but our favorite scenario is locking out teens who try to sneak in (or out) after curfew. And although the backlit touchscreen is attractive, users express concern about wear and leftover fingerprints that could tip off a thief. 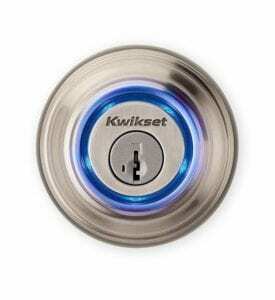 Kwikset is one of the most well-known names in home locks, and this Bluetooth smart lock combines the look of their conventional keyed locks with high-tech functionality. Kevo uses Bluetooth to sense when you’re approaching the door, which engages the touch-to-open feature that lets you lock and unlock your door with just one touch. You don’t need to fumble for your phone or key fob—those can stay tucked in your pocket or purse. But despite the trusted Kwikset name, the Kevo lock isn’t a customer favorite. This lock has a 2.8-star rating on Amazon, with more than 800 reviews. 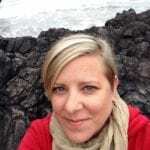 Reliability, slow response time, and glitches with the app are among the top concerns. This electronic keypad lock is affordable (under $50) and works with both left- and right-hinged doors. The SoHoMiLL Electronic Door Knob is the perfect starter electronic door lock. And even though it doesn’t offer Bluetooth connectivity or smart home functions, it’s a customer favorite. Because it doesn’t require a smartphone or Wi-Fi connection, it makes keyless entry an option for everyone. But we wish it could hold more codes. You can only store up to eight, compared to hundreds on other electronic lock models. And this isn’t a deadbolt, so it adds more convenience than extra security. The ANSI/BHMA grading system is used to rate the overall level of performance as well as the quality and durability of each lock. Locks are put through a series of tests to determine operational function, pull strength, key torque cycles, and impact resistance. ANSI/BHMA Grade 1: This is the best rating and certifies the highest level of security for residential locks. ANSI/BHMA Grade 2: This is an intermediate rating for residential lock security. ANSI/BHMA Grade 3: The lowest rating, this grade signifies that a lock meets the minimum acceptable requirements for ANSI/BHMA certification. When it comes to how your smart lock works, there are a lot of mysterious words thrown around (Z-Wave, RFID, etc.). To help you know exactly what you’re getting, here’s a quick reference that demystifies these technical terms. Radio Frequency Identification (RFID) locks use a key fob or card for entry. The card or fob uses radio waves to communicate with the lock, which recognizes the key card and allows entry. With RFID technology, you may not have to remove the key fob from your pocket or purse. That means no more fumbling in the dark or trying to find your keys when your arms are full of shopping bags (or other precious cargo). 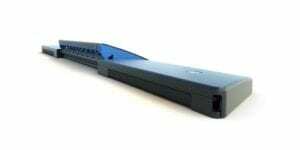 Bluetooth-enabled locks operate in a similar way to RFID locks. The lock senses your smartphone’s Bluetooth ID and unlocks the door when you approach. Most Bluetooth and RFID locks also use a secondary means of electronic entry, in case your battery dies or you lose your key fob or cellphone. Z-Wave technology uses a mesh network to connect multiple devices. A mesh network is a wireless network connection that is spread out among many “nodes” that allow dozens (or hundreds) of devices to talk to each other. Mesh nodes are tiny transmitters that emit radio waves much like a wireless router. But because the network isn’t limited to one router, or access point, it can handle communication among lots of devices at the same time. Z-Wave devices are usually connected through a smart hub, which lets them communicate and gives you remote or automated control. And because Z-Wave devices can speak to one another, you can set up routines. One routine could be that the porch light comes on when you use your Z-Wave lock to unlock the door. Many people question how safe it is to rely on a smart lock to guard your front door. Because these locks combine the best of traditional deadbolts with new technology, they should deliver the ultimate in home security. However, as with all new tech, there are some outlying vulnerabilities that can cause concern. Can My Smart Lock Be Hacked? The short answer is yes. But, when you consider the downfalls of traditional locks (losing keys, having the lock picked), the risks aren’t any greater—and they may actually be less likely to occur. The biggest difference is that a smart door lock could be hacked remotely, which means a burglar no longer has to be on-site to bypass your lock. However, most hackers aren’t interested in breaking into homes when they can target bigger fish for similar effort. Does a Smart Lock Tip Off Burglars? Because smart locks don’t use a standard key tumbler, they usually look different than other door locks. While homeowners like the sleek, modern look of smart locks, the high-tech style can signal to a burglar that you like to spend money on fancy gadgets. There is some speculation that this could make your home a target, but there’s no evidence to support that fear. If this is a big concern, seek out a smart lock that looks more like a traditional deadbolt. This is the heart of the smart lock debate. It’s easy to see how smart locks can make our lives simpler, but are they really a security upgrade? Remote access and monitoring, no more spare keys, and hands-free entry are all big perks that smart locks offer. When it comes to getting in the house with an armload of groceries or letting in the dog walker while you’re relaxing on a beach somewhere, you can’t beat a smart lock. If convenience is your main priority, then adding a smart lock is a no-brainer. When it comes right down to it, a smart lock isn’t fundamentally more secure than a traditional deadbolt—and most still rely on a deadbolt for added protection. Where a smart lock becomes more secure is the control you have over who can access your home and when. Locks that let you program codes for users, and disable them as needed, give you much more security than you’d have passing around spare keys. These products give you all the perks of a smart lock, without actually being a smart lock. This way you get the best of both worlds—strong security and modern convenience. WARNING: Smart locks can lead to experimentation with other smart home technology. These automated door locks are often the gateway to more smart products. An electronic door lock can be the first step toward a fully automated smart home. People who are skeptical or intimidated by home automation often find a smart lock easier to understand, which makes them more likely to give it a try. Once they experience the benefits of a keyless lock, they just can’t wait to make something else smart. It could be something as simple as a crock pot or something more advanced like smart lighting or a smart thermostat. Before you know it, they’re seeking out smart home hubs like Amazon Alexa or Google Home so they can control all their smart devices with the sound of their voice. If you find yourself sliding down the slippery slope of smart home automation, do it the right way. Use our other comprehensive guides to find the right smart home products for your lifestyle. To find the best electronic locks, we reviewed twenty locks for overall security, functionality, reliability, and customer satisfaction. We considered national standards for lock security as well as expert ratings and customer reviews. More than twenty hours of independent research went into comparing and contrasting the benefits and downsides of each lock to determine our top five.